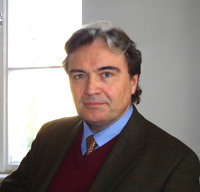 Prof. Dr. Rüdiger Görner is an internationally known cultural studies and literary studies scholar. His work on cosmopolitanism and orientalism, among other publications, has made him a familiar name in cultural studies; in 2005, he became a founding director of the Centre for Anglo-German Cultural Relations at Queen Mary College, University of London. During his period as Visiting Professor at Mainz University, he lectured in particular on the complex engagements of British-German relations from the early nineteenth century to the present. Anglophilia and Germanophobia, as well as England-loathing and Germany-glorifying, mark the ever-changing relations, in equal part tense and productive, between the two cultures. The tri-part lecture series will examine several of the literary aspects and history of ideas of these cultural relations, as well as study the manners of thinking and writing that arise from them.